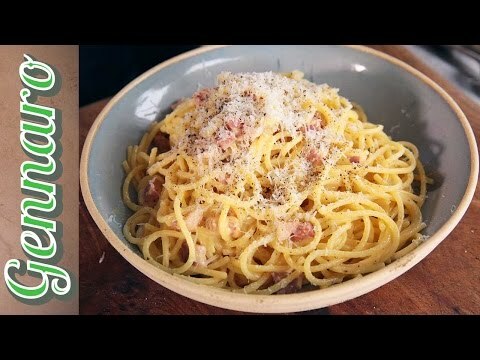 Crispy pancetta mixed with egg and cheese for the ultimate creamy sauce. You will love it! Bless you all.